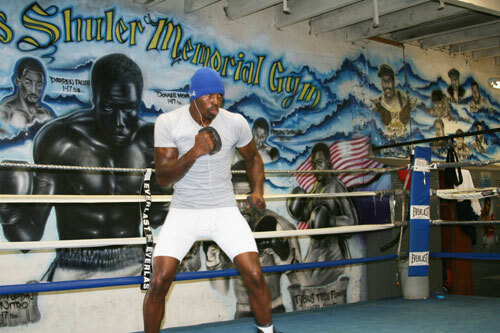 James Shuler Memorial Boxing Gym develops world class boxers in a family oriented atmosphere. “Shulers” is known to be one of Philly’s top quality boxing gyms offering training at affordable prices. Read James Shuler Boxing Gym – Is It The Best In Philadelphia? for more about the gym’s history. Since the establishment of James Shuler Memorial Boxing Gym it has become a safe haven for adolescents and young adults, a school of hard knocks for those who want to learn discipline, athleticism, and sportsmanship, a place of encouragement and celebration, and simply a legendary staple in the West Philadelphia Community. We welcome individuals age 7 and up, male and female, amateur and professional boxers. The trainers at Shuler’s will accommodate any level of experience – whether you are looking to get into the best shape of your life, learn proper boxing technique or are interested in amateur competition or aspire to be a professional boxer.